Digging and exploring the bottom of the Earth not only puts the lives of miners at risk every second, it also exposes them to acquiring life threatening health conditions, even long after they get out of the mining pits. It is definitely one of the toughest jobs a man can have in today’s world. Given the pitfalls and dangers that follow miners every minute of their shift, the injustices they battle each day pile up like heaps of soils being dug from the ground. Literally and figuratively, they are digging their own graves each day they go to work. 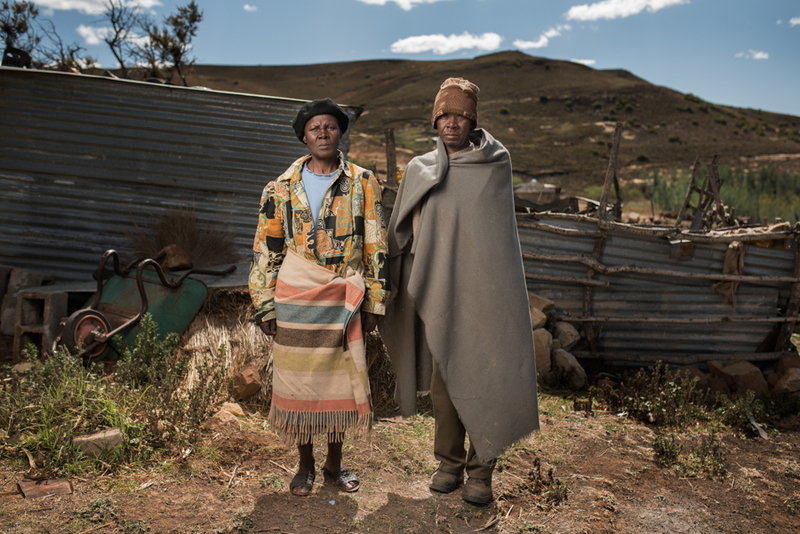 Photographer Thom Pierce travels into the heart of South Africa to search for a trail of miners physically destroyed by an inhumane working environment created by profiteering mining companies. Shooting his camera along his journey, Thom meets up with surviving miners who have developed serious health conditions and widows who could only speak for their departed husbands. Through Thom’s camera work, we see a glimpse of the real-life struggles of miners who are in search of justice they now see as more elusive than any of the Earth’s rare elements. 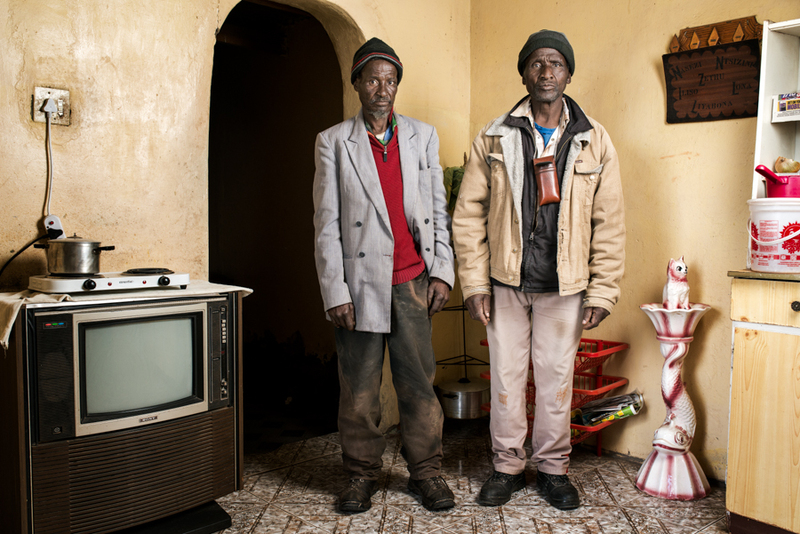 Dyamara Jibhana & his brother Phillip – Mr Jibhana is 65 years old and worked in the gold mines for 39 years. 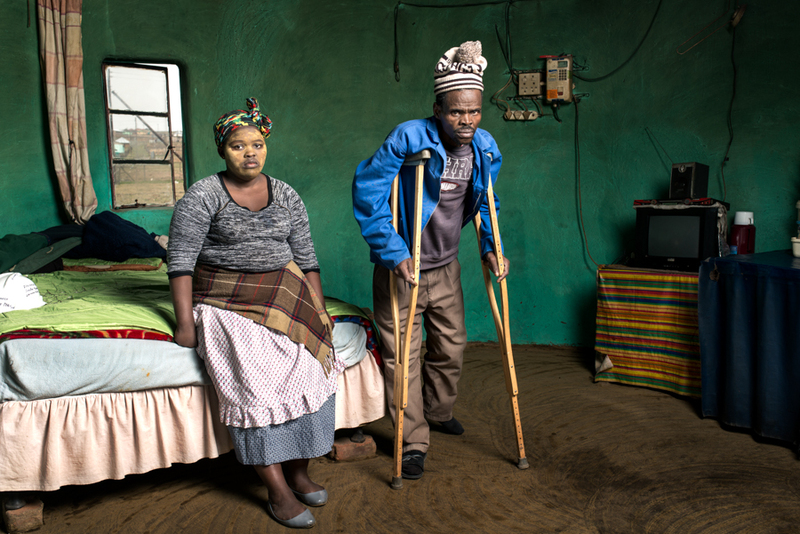 He has silicosis and received no compensation. How did the idea for shooting “The Price of Gold” come about? 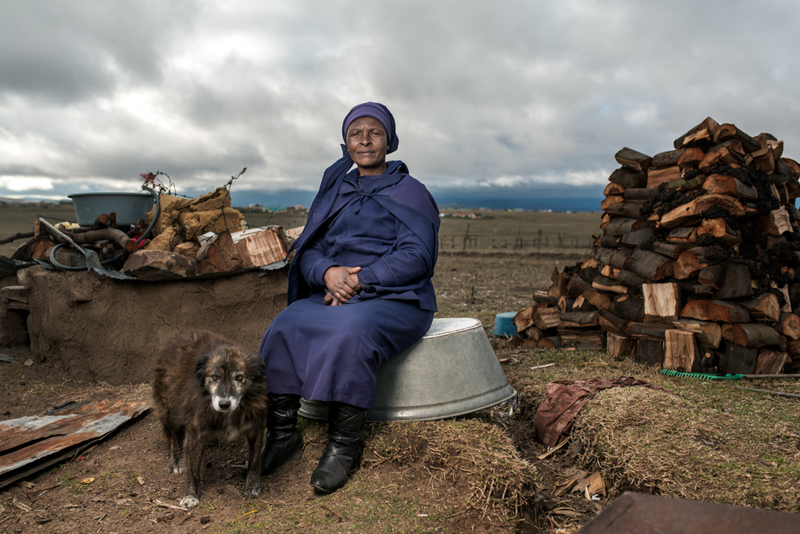 I read about the silicosis story in one of the national papers and decided to take a short trip to the Eastern Cape to investigate. From that first trip I produced a short series that was run in a few publications. I was then contacted by an organisation called the Treatment Action Campaign, who do amazing work here in South Africa. They wanted to know how we could extend the project to work around the court case and raise public awareness. We came up with the idea of photographing all of the named plaintiffs in the case, and TAC organized funding and travel arrangements while I got to work finding the miners. I managed to get all of the portraits taken a couple of days before the court case started. Together with TAC, we put on an exhibition of the photographs next door to the courtroom, in a totally dark room, with only the lamps from miners helmets to see the images and the sound of the miners breathing in the background. It is a really powerful piece of advocacy which we hope will travel round the world. 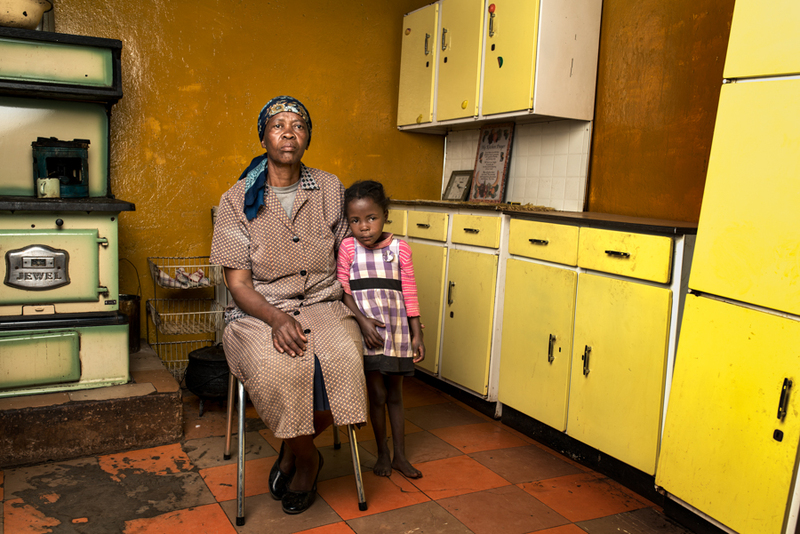 How important it is for a photographer like you to document socially relevant issues? For me, it is really important. Photography is such a powerful way to engage an audience and good photography can draw people in to a story that they might not otherwise find out about. I love editorial and portrait work but one of my biggest passions is to work on important social stories and present them in an accessible way to a new audience. I have always engaged with the world in a very visual way and I think that many other people do too. While it’s great to read stories or watch documentaries, there is an immediacy to photography that can’t be achieved with words or film. In a second, a photograph can grab your attention and make you want to find out more. 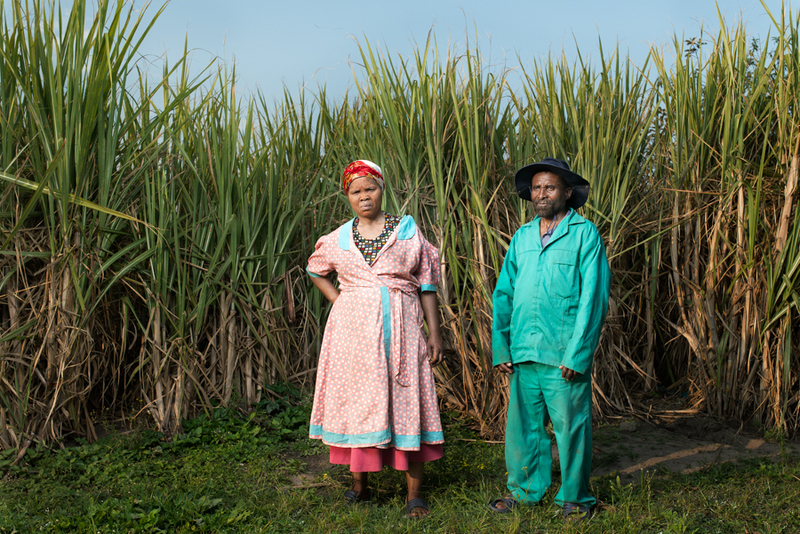 Makatleho Selibo is the widow of Mahola Selibo who worked in the mines for 33 years. 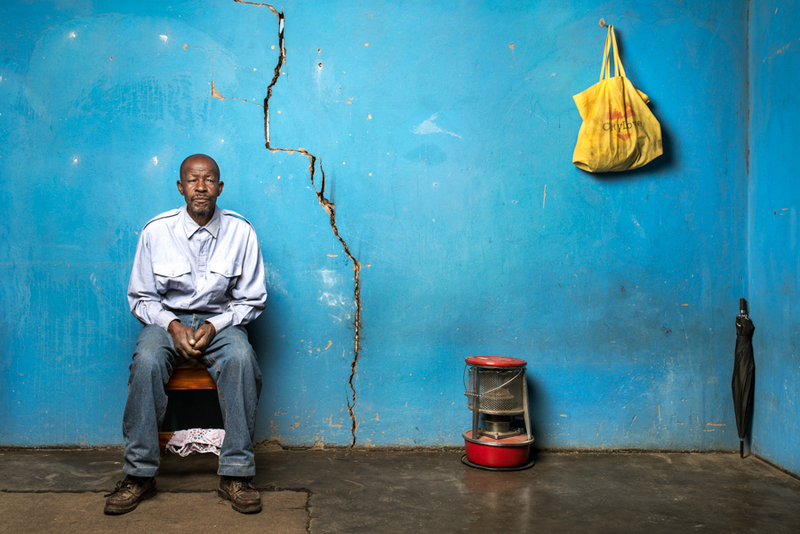 He had silicosis and received no compensation. 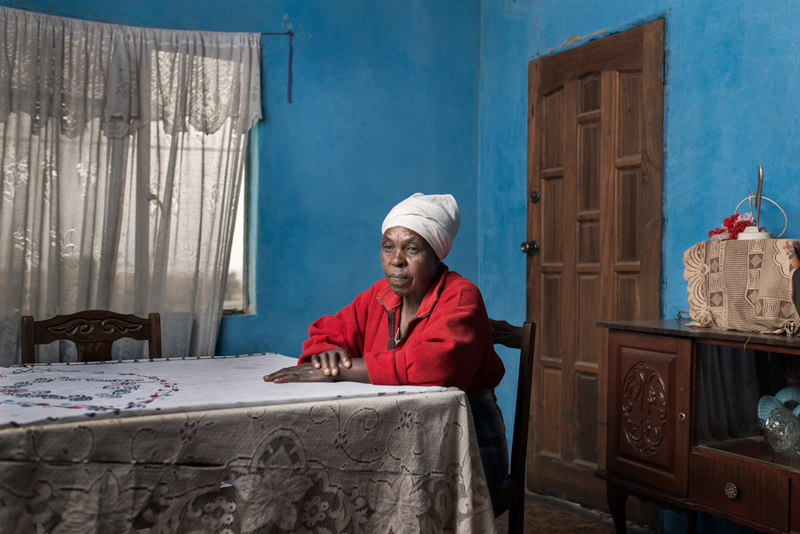 Nosipho Eunice Dala is the widow of Zwelakhe Dala who died in 2015. He worked in the gold mines for 28 years and developed silicosis. He received no compensation. What are some fascinating discoveries you had while doing this series? 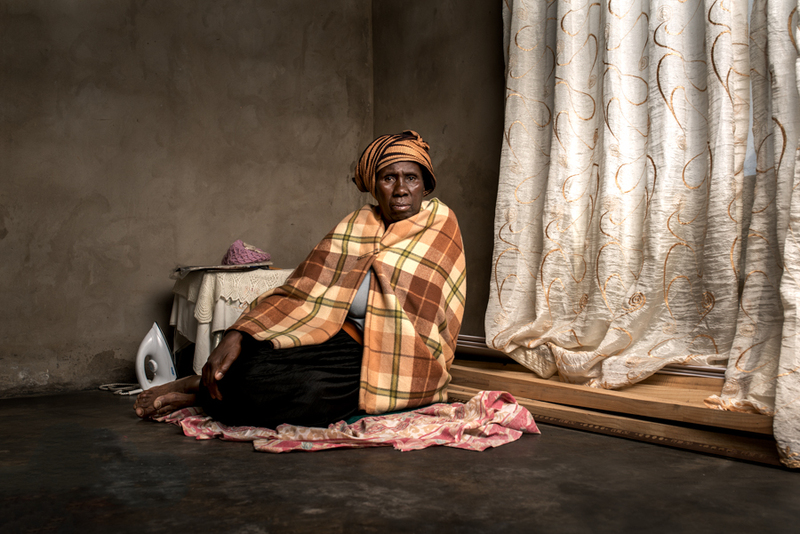 I learned a lot about the people I was photographing and the injustice of their situation. I was amazed by the attitude that they took towards the situation. Mostly, they don’t want revenge, just justice. The way that people have been treated directly translates to how they value themselves and it was incredibly sad to realize how low many people’s expectations are for the quality of their own lives. Professionally, I learned how a story can be told in an indirect way, by presenting the people, their lives and their families. We didn’t need to show miners at work or sick people dying in their beds, just real people in their real lives. As an audience, we can all relate to the feeling of having a family and a home, which brings us one step closer to empathizing with the person in the photograph. Patrick Sitwayi & Asive Bingwa. 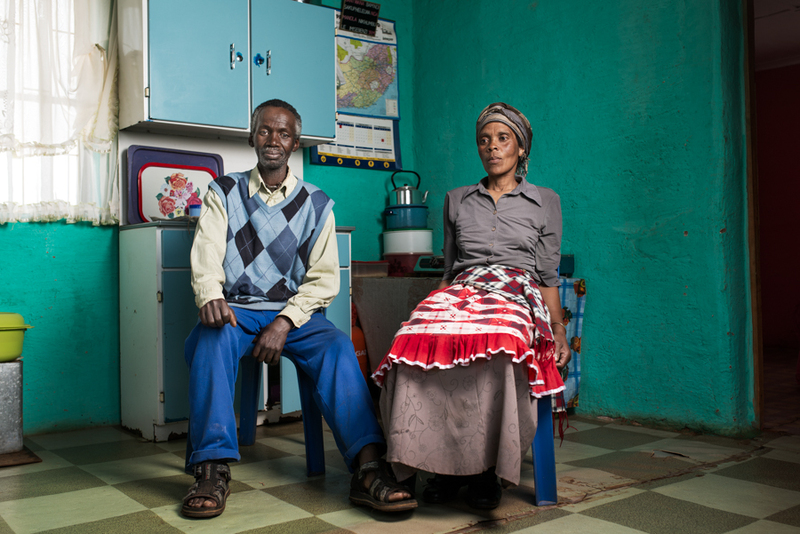 Mr Sitwayi is 57 years old and worked in the gold mines for 22 years. 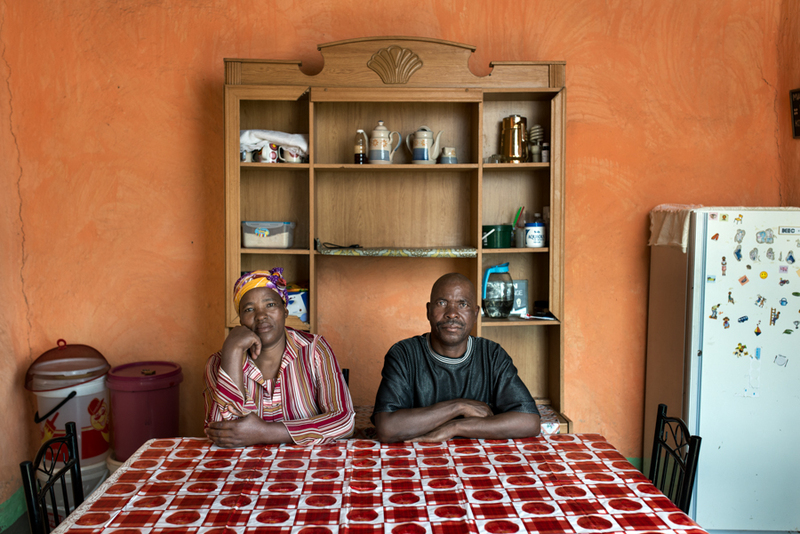 He has silicosis and received no compensation. While this series will absolutely help in spreading information about the miners’ Class Suit, are there any developments in the case? We are still waiting for the judges to come back with a decision. It is expected anytime now and I have been told that we will get a couple of days notice when they are ready. I will head up to Johannesburg to be there when the decision is announced and will make sure I tweet about any developments (@thompierce). 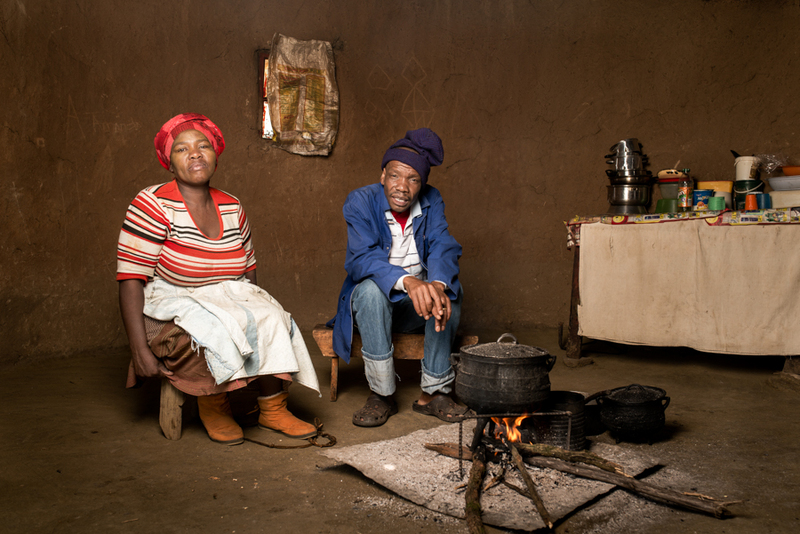 Sekhobe Letsie is 72 years old and worked in the gold mines for 38 years. 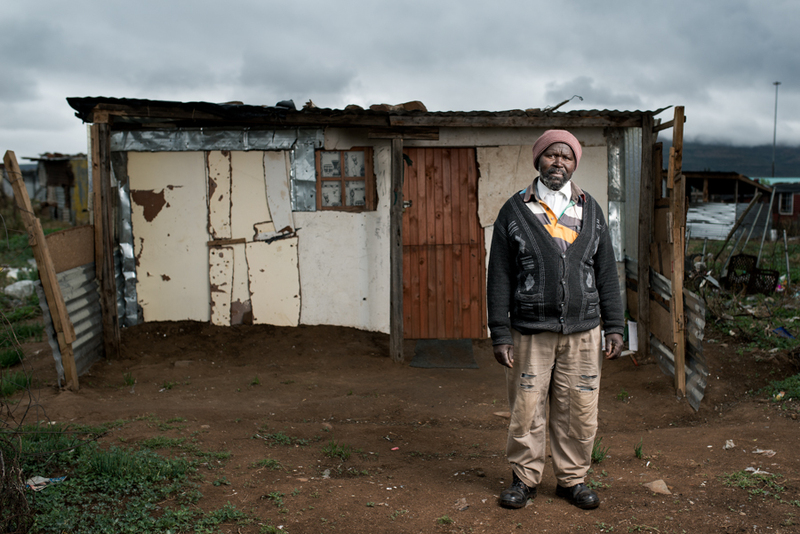 He has silicosis and received no compensation. From a technical standpoint, tell us the process on how you shot the images in this series? Well, mostly the rooms are dark and small and so you don’t have much choice but to use a wide lens and a light. All of these portraits were shot using a 35mm lens on a Nikon D800 and lit with a Profoto B1 using as large a soft box as I could fit in the room. I had to hand hold the camera and squeeze myself into some tight spaces to get enough room. Getting a sharp focus is hard work when you’re bent backwards over a stove, trying to keep the camera still. Outside was hard work because there was no time to wait for good light (the whole series of 56 portraits needed to be shot in 20 days, over 5,000 km) so we had to deal with hard light and high winds. Thank goodness for high speed sync and assistants to hold the lights. Lastly, care to share your next photography project? I am working on a couple of editorial jobs over the next few weeks, it’s great to be contacted by photo editors who like ‘The Price of Gold’ series and can see my style working in their publications. After that, I am heading to Lesotho for a new project. I can’t really say too much about the project at this stage but it is very much dealing again with social issues but in a different way aesthetically. The intention at the moment is for it to be a book and exhibition in collaboration with the American writer Will McGrath. To keep updated with the developments on the miners’ class suit, check out Thom Pierce’s website and twitter for more information.